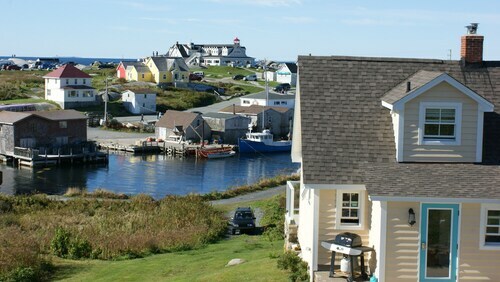 Expedia can help you save with a Peggy's Cove vacation package. With all that extra money in the bank, you might even like to book a few additional nights. Wouldn't it be nice to save up to C$590*? Get a travel package on Expedia now! Within a matter of minutes, you can book everything you need for your next vacation through our comprehensive database. And — with more than 400 partner airlines and 321,000 properties from across the world, you'll have the flexibility to mix and match! 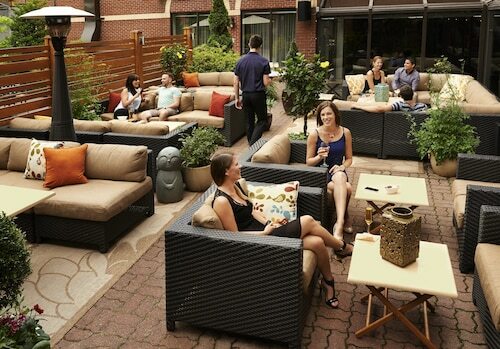 Don't worry about changing your group's vacation plans, as we don't charge additional cancellation fees for almost all of our hotel bookings. Nearly ready to head off on your Peggy's Cove vacation? Can't work out what sort of things to put on your travel schedule? Don't stress — we'll give you a few pointers. For years upon years, Peggy's Point Lighthouse has loyally shown ships and boats the way through the waters. Stop by this long-standing landmark and learn its secrets. Visitors have heaps of options in and around this destination. Slip on your finest khakis and pull out your best putter. If you'd love to indulge in an afternoon on the green, book in a tee time at Granite Springs Golf Club. Still got some time on your hands? Visiting a city's monuments is a fantastic way to get an insight into its heritage and achievements. Admire William E. deGarthe Memorial Monument and discover the inspiring story behind it. Traveling isn't about destinations and deluxe hotels. It's about the experiences you live and the memories you collect on the way! 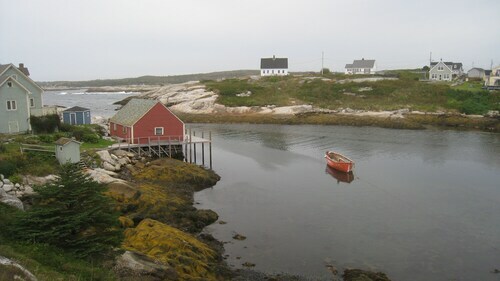 Kick off your trip with a Peggy's Cove: Half Day Tour. This excellent activity is worth telling the folks back home about. Take a look at our Peggy's Cove things to do page for a full list. Locating a comfortable place to stay is often crucial to the perfect luxury getaway or cheap vacation. 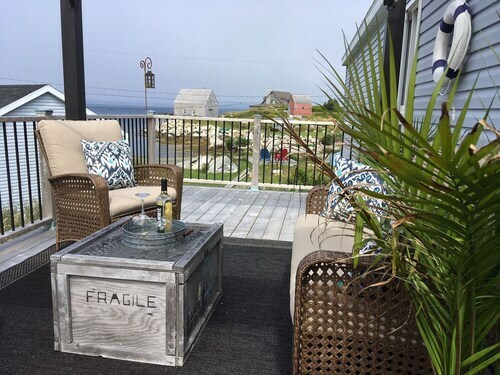 With just 2 accommodations in Peggy's Cove, make sure you book as soon as you know your dates. The Oceanstone Seaside Resort (8650 Peggy's Cove Road) and the Clifty Cove Motel (8444 Peggy's Cove Road) excellent properties. Why not have a look at the amenities and services and then select one? Go through security, shuffle onboard, stow your bags in the overhead locker and buckle up! Your well-earned trip to Peggy's Cove isn't too far away. After coming in to land at Stanfield International Airport (YHZ), you'll be approximately 35 miles (56 km) from the central areas. Situated by the ocean, this property is 0.1 mi (0.1 km) from Saint Margarets Bay and within 3 mi (5 km) of William E. deGarthe Memorial Monument and Peggy's Point Lighthouse. Shining Waters Marina is 11.8 mi (18.9 km) away. Situated by the ocean, this historic property is within a 10-minute walk of William E. deGarthe Memorial Monument and Peggy's Point Lighthouse. Saint Margarets Bay is 1.7 mi (2.8 km) away. Located in the heart of Peggy's Cove, this vacation home is 1.7 mi (2.8 km) from William E. deGarthe Memorial Monument and 2 mi (3.2 km) from Peggy's Point Lighthouse. Shining Waters Marina is 12 mi (19.2 km) away. Situated in Peggy's Cove, this property is close to William E. deGarthe Memorial Monument, Peggy's Point Lighthouse, and Saint Margarets Bay. Regional attractions also include Bayswater Beach Provincial Park and Swiss Air Flight 111 Memorial Bayswater.